Who the course is suitable for: Makeup artists who wish to focus on learning or improving a particular skill set. What you can expect: A completely bespoke one-to-one course built around your requirements for as many days as you would like. If you are already a makeup artist but are looking to hone a particular set of skills we can build a course based on your required areas of focus from 1 to as many days as you would like. Additional days can be added as we go along to get you to where you would like to be. social media dos and donts. Just let us know your goals and we’ll help you achieve them with your own private customised course – hands-on, intensive, super-focused – take your skills to the next level. An in-house makeup kit can be provided for courses however we encourage you to bring in your own if possible so that you learn using the products that you prefer. 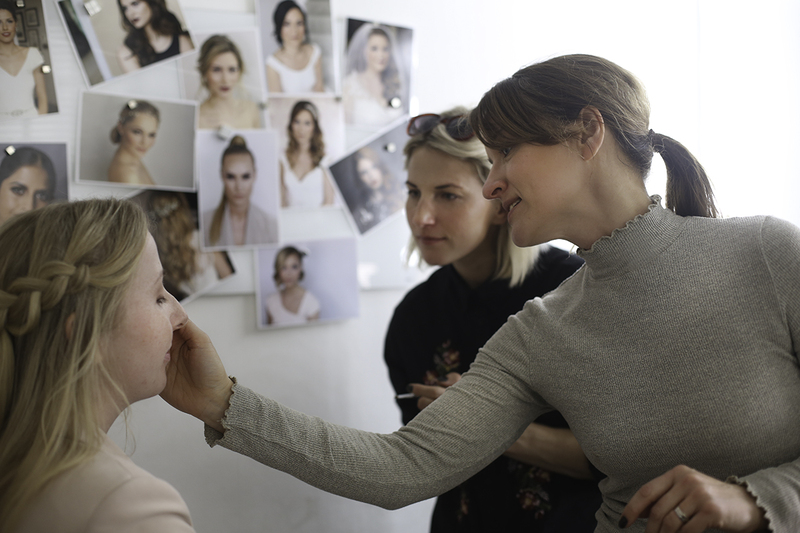 Industry secrets, deeper insights and and time-saving hacks – we’ve worked out the perfect formula of skills and techniques you’ll need to become a successful bridal makeup artist. Once you complete this course you’ll be fully equipped to start your journey to be amongst the best in the industry. With this set of skills you can earn a 6 figure income as a makeup artist. To book a £100 deposit is required with the balance settled 2 weeks before the course start date. All major credit/debit cards accepted excluding American Express. Please CONTACT US, we can’t wait to hear from you and help you achieve your makeup goals.